VisionAmp worked with Spyder Extras to create a responsive and mobile friendly website that looked great and showcased the company’s products. We also added a shopping cart feature and made it easy for visitors to view and purchase selected products. 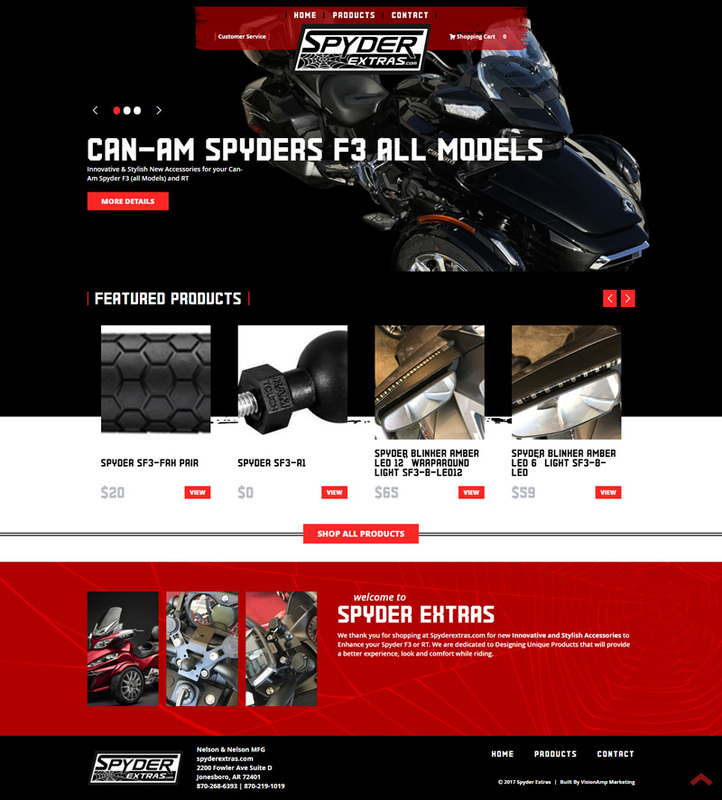 Spyder Extras creates innovative and stylish accessories to enhance the CanAm Spyder F3 or RT. Their goal is to provide products that offer a better experience, look, and comfort while riding.